John and me outside BookWoman before the event. What is John looking at? I started writing the book in 1998, two years after my daughter, Sarah, was born. We would have a babysitter, Anna, come into the house and play with her while I wrote and worked. Well, by age 2 Sarah had become aware that I was still IN the house. So she toddled over with Anna into my study. “I won’t say anything,” little Sarah whispered. As I tried to write, I keep shooting glances over to my dear poppet. This wasn’t going to work. 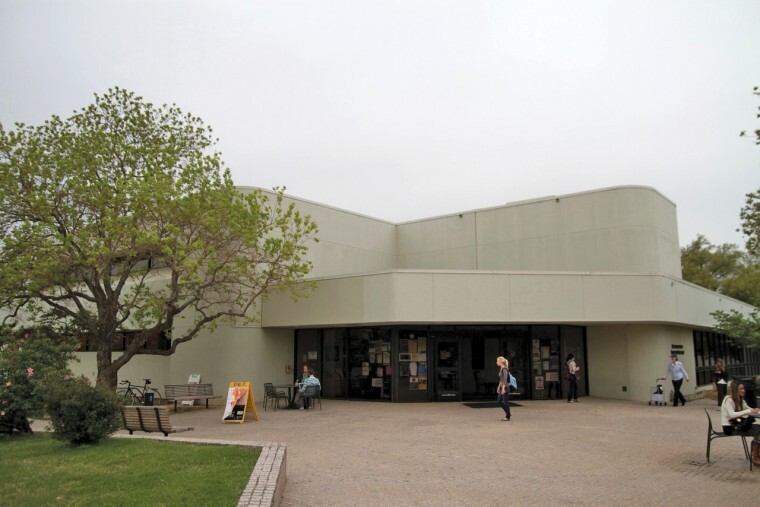 That’s when I began my frequent travels to the library at St. Edward’s University, less than a mile from our home. I brought a laptop with me–a Mac that took dial-up. So I couldn’t google even if I wanted to. I simply typed. The old library at St. Edward’s University. Now they have a beautiful new one. But I have happy memories in the old one. 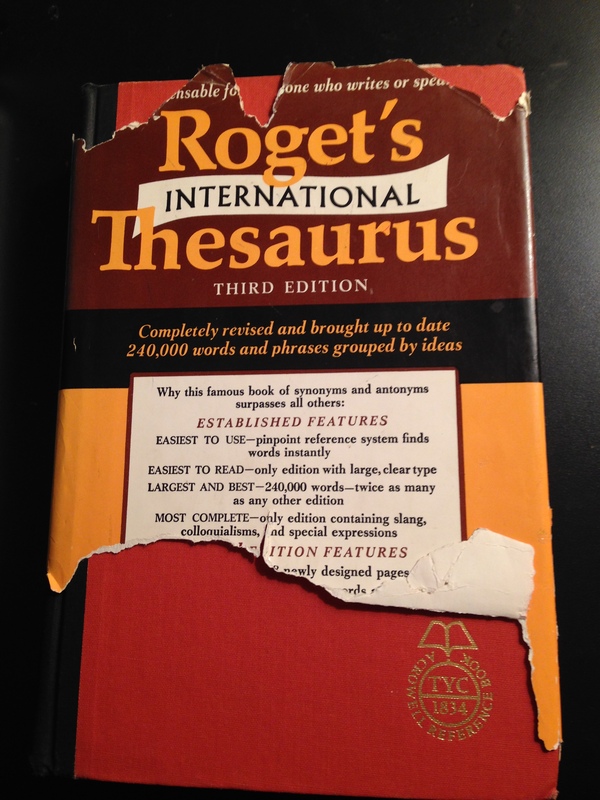 Someone asked me how I got words for alliteration.Then I suddenly remembered my well-thumbed copy of Roget’s Thesaurus. No googling for synonyms for me! Laura’s son, Sam Brancaccio, a brilliant heavy-metal guitarist, might compose music for a song from Grendel’s Mother. Vikings and heavy metal seem to go together. So I hope Sam will oblige. I can see Grendel’s Mother rocking out to his music. As I left BookWoman, I found out that a number of women from the “Goddess Group” had bought the book. I love goddesses! My student, Steven, came with his mom, Sarah. I love seeing students at these events! My dear friend, Laura, and her son, Sam, on the right. I said something funny, but John has heard it all before. Just so you know, one scholar thinks Grendel’s Mother is based on an ancient Earth goddess figure. Enjoy!